Perhaps you have considered purchasing life insurance in the past but decided against it due to the perceived high costs. The fact of the matter is that in many instances, people think that life insurance is more costly than it actually is. According to the 2015 Insurance Barometer Study, conducted by worldwide financial services research and consulting firm LIMRA, and the nonprofit insurance education group Life Happens, 80 percent of consumers have misconceptions about the actual cost of life insurance. Millennials believe life insurance policies are more than three times more expensive than they actually are, overestimating the cost by 213 percent. Gen Xers overestimate the cost by 119 percent. 49 percent of those 65 and older cited paying for expenses such as Internet, cable and cell phones as a priority over purchasing some or more life insurance, and 60 percent of Millennials said the same. Life insurance is a controversial subject—with good reason. It is often argued that if you wisely invest the money that you are paying in premiums to your life insurance company, your estate upon your death would be worth more. However, one can’t predict the future and in the event of an untimely death, a life insurance policy could financially safeguard your family and prevent them from enduring a significant financial hardship. 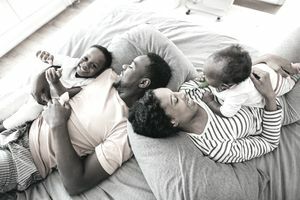 The true benefit of life insurance comes in knowing that you have taken all of the steps possible to protect your family and loved ones in case life doesn’t go as planned. 1. It’s important to shop around for the right provider and the right policy. Before you make any big life insurance decisions, it’s important to do your homework and speak to a licensed agent. You will want to have a solid understanding of your options and what kind of policy can best address your particular needs. There will be several factors that will affect the cost of your policy, the most obvious ones being age and health. But keep in mind that other factors such as your credit history, driving records, hobbies and lifestyle can also impact the cost of your policy. 2. Your premiums may increase with age. In many cases, your premiums will go up as your age goes up. The reason for this is that as you get older, you may face more health problems which in turn makes buying life insurance more expensive. It may be hard to consider paying for life insurance if you are only in your 20’s or 30’s, but if you have a family and loved ones to protect, it could be well worth it. The ideal time to purchase life insurance may be right now while you’re young and healthy. 3. Be aware that your needs may change. If you choose to purchase life insurance, be sure to review your policy on a yearly basis and when major life events occur. Milestones such as marriage, buying a new house, and having children are all factors in determining the appropriate amount of coverage.